1.Export operation works only for new requests (doesn't work backward, so just after creation list is blank). 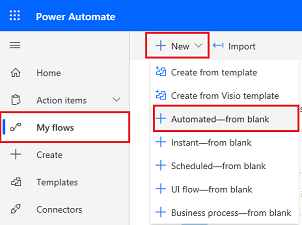 Step 1) Enter export list and click "List Settings"
Step 2) Click "Permission for this list"
Link to Microsoft Flow can be found under Office 365 app launcher. 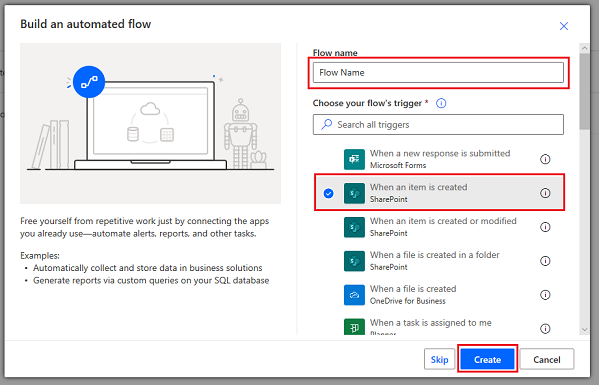 Here is more info about Microsoft Flow plans&pricing. Step 2) Type "Sharepoint" in search box and select trigger "Sharepoint - when new item is created"
Step 3) Copy&paste Sharepoint List URL, select list name and click "New step"
Step 4) Click "Add an action"
Step 5) Selection action "Office 365 Outlook - Send an email"
The List Web Part allows you to view tabular data on Sharepoint web page. Below are steps to add Web Part. Step 2) Click Insert=>Web Part=>Apps, select list and then click "Add" to add webpart. Power BI is a suite of business analytics tools to analyze data and share insights, here is more info. 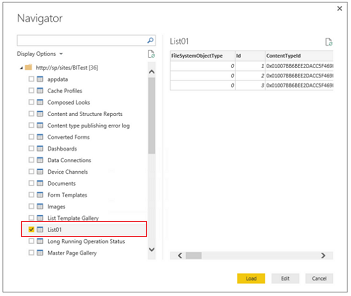 Below are steps to add Sharepoint List as data source for Power BI. 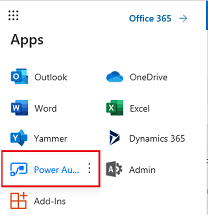 Step 2) Copy&paste Sharepoint List URL and click "Ok"
Step 3) Select Sharepoint List and click "Load"